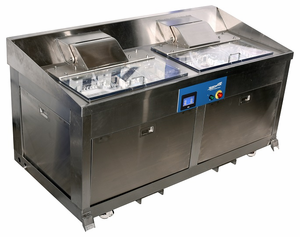 SharperTek® Medical Ultrasonic Cleaners are designed for cannulated and non-cannulated instrument cleaning. Prior to sterilization, there is no better method in use to reach small crevices and thoroughly clean vital laboratory parts and appliances than ultrasonic cleaning with sweep technology. The irrigation system uses automatic flow controls that insures the correct pressure is being used in the cannulated instruments without any adjustments needed from the operator. 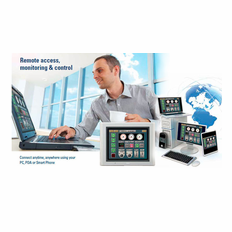 Whether the tray has one robotic instruments, or twelve, this system can provide the correct orifice pressure. 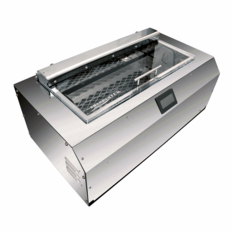 This protects the instruments from over or under-pressure damage, while also garunteeing a clean part everytime. 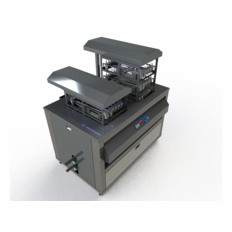 The SharperTek® Medical Cleaners have been third-party validated to clean the DaVinci SI and XI robotic instruments per AAMI TIR 30:2011 and ANSI/AAMI ST81:2004:2010. 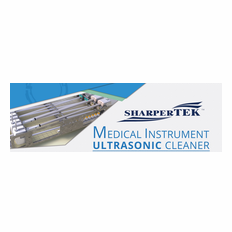 SharperTek® is a recognized leader in medical and dental ultrasonic cleanings systems. 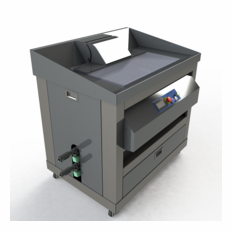 We specialize in standardized off the shelf units as well as customized design and fabrication. 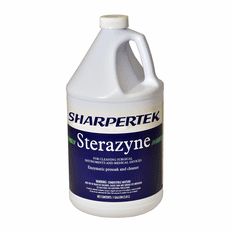 Contact us at (877) 234-6938 to speak with a SharperTek® engineer about your particular medical or dental ultrasonic cleaner needs.